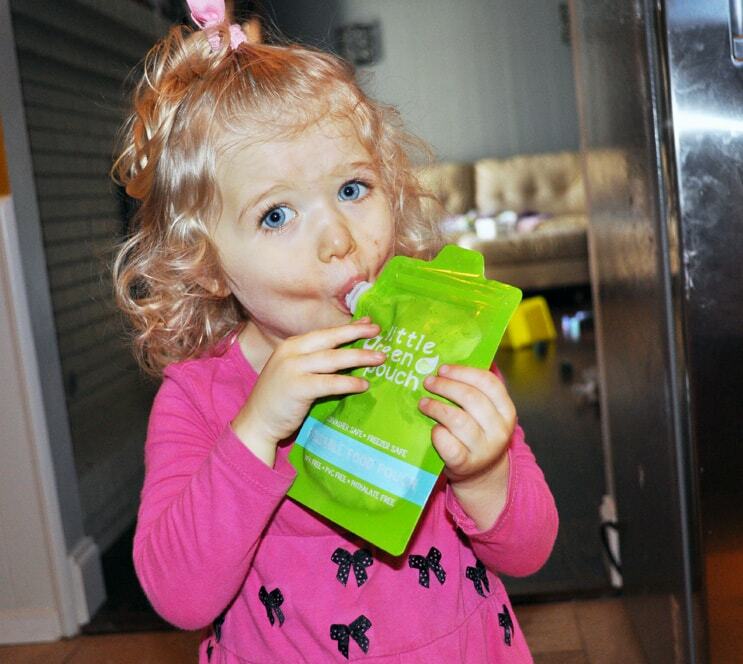 For those of you that have young children, you are very familiar with the baby food in squeeze pouches. Since my daughters struggled with eating, we went through a lot of them. They travel really well and it’s easy for kids to eat. However, they add up in price pretty fast and you are left with trash to throw away. I have been looking for a refillable squeeze pouch for a while now. Then I found out about a company called Little Green Pouch. They make easy to use refillable feeding pouches. Little Green Pouch is going to give away a large starter kit ($49 value) to one lucky reader. Contest is open to US and Canada residents only. Giveaway will end on November 27 at 12:00am CST. Winner will be notified via email. Good luck! I knew when I first got the samples that I wanted to make a recipe to use in them. So I did a twist on my Crock Pot Applesauce. 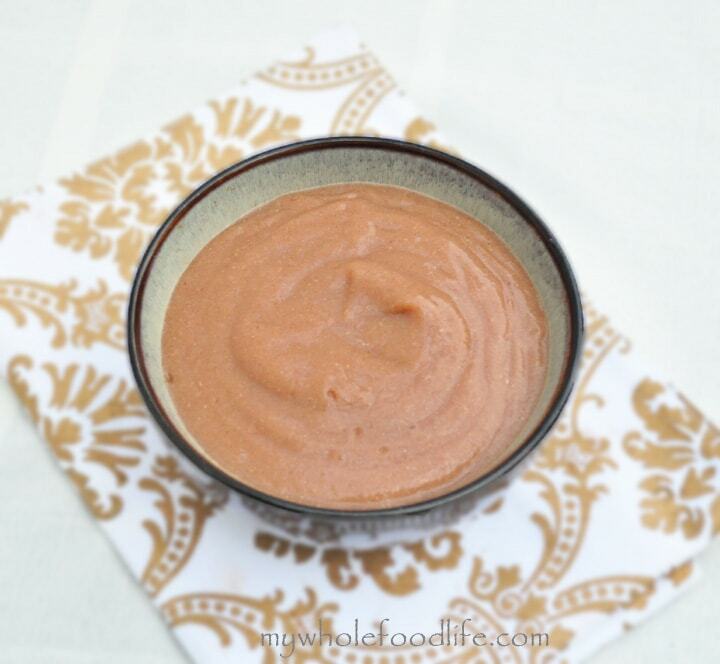 This is a healthy recipe perfect for babies on soft solids as well as toddlers. My husband and I even enjoyed it and put in in our overnight oats. Great flavors! A baby food you would be happy to serve to your child and eat yourself. Throw all the ingredients except the quinoa in the crock pot . Cook on high for about 3-4 hours. Once the apples and pears are soft and somewhat broken down, turn off the crock pot and let cool. Once cooled, add the quinoa and blend with an immersion blender . If you don’t have an immersion blender , you can transfer mixture to a blender and blend well. If you decide to use a blender, you may need to blend the mixture in 2 batches. It can be refrigerated for a few weeks and frozen for even longer. Enjoy! Disclaimer: This post is sponsored by Little Green Pouch but the opinions are my own. Sounds great! I recently purchased yummi pouch and they have been great to have. We eat on the road a lot and it's a great way to have the kids eat mess free. Defineltybgoimg to try this recipe for an easy pouch breakfast. Thank you for this recipe!! I just purchased some Little Green Pouches for my son to use! He LOVES cinnamon applesauce, and a pouch is so much easier than a spoon. I love that you put some quinoa and pears in there- can't wait to make this recipe! This would be a perfect blend in my Vitamix! You're welcome Kathy! You have a wonderful Thanksgiving as well! I love this recipe and so does my son. I make it every other week for his pouches. I'd love to see more like this :) Happy New Year! Thanks Elyna! I am so glad you enjoy the recipes. I see all three of your comments too. :) Happy New Year! Ill bet these pouches would work well with overnight oats! Do you peel the apples and pears or just core them?